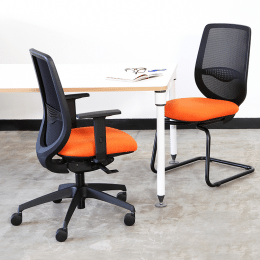 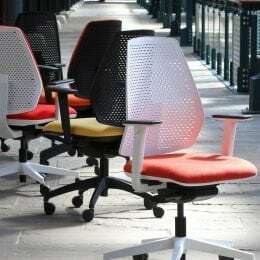 ​These beautifully coordinated visitor and meeting chairs maintain your cool aesthetic through the workspace. Sleek cantilever bases offer elegant support and just the right amount of flexibility for a smooth settle. 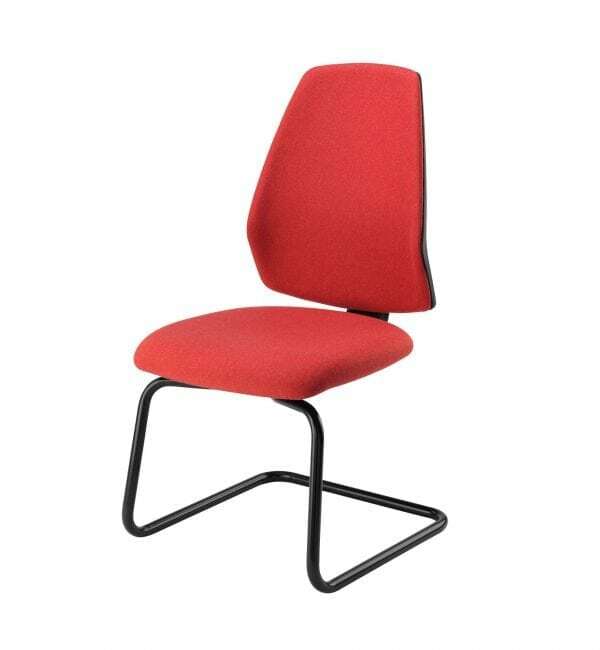 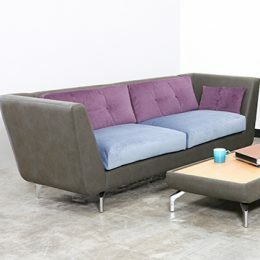 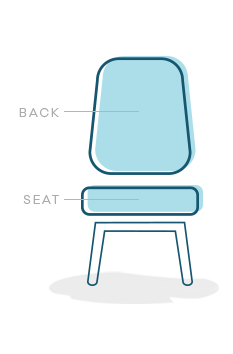 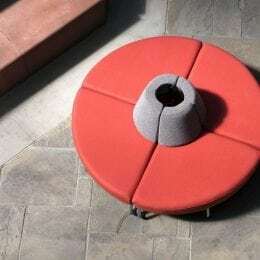 This model features an upholstered back.